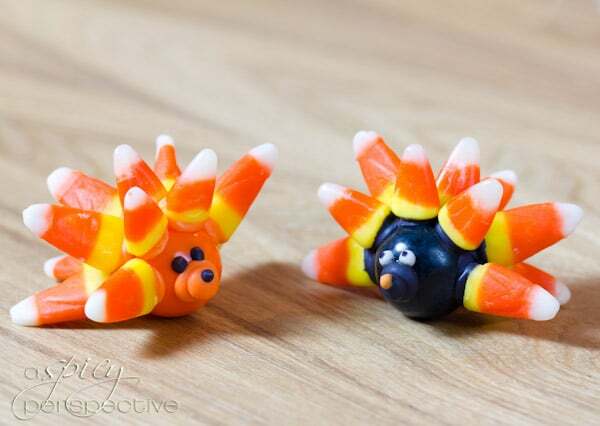 Today I’ve got two Halloween food crafts that are a bundle of laughs. 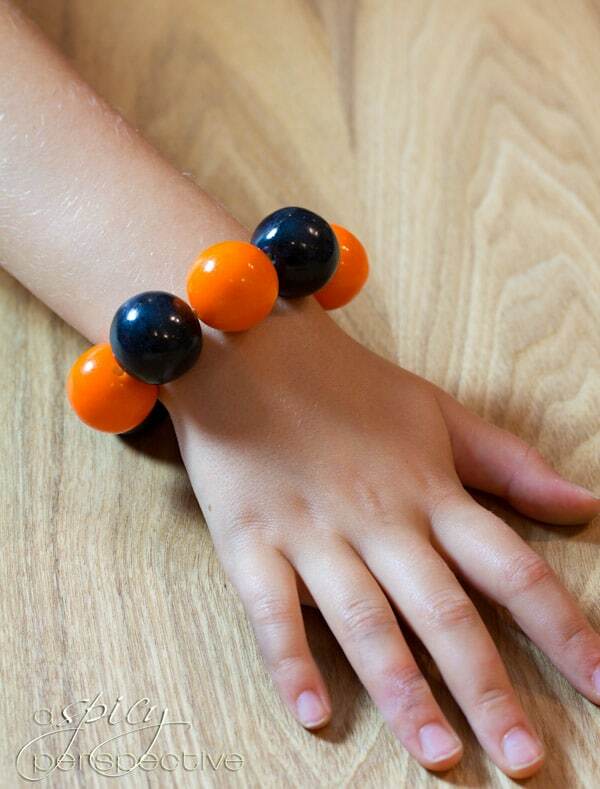 This simple gumball bracelet and hedgehog craft both make fantastic Halloween giveaways. Walking down thecandy aisle in the grocery store last week, I spotted black and orange gumballs for Halloween. Although I didn’t know what glorious end they would come to, I did know whatever we used them for, would be a big heaping spoonful of fun! 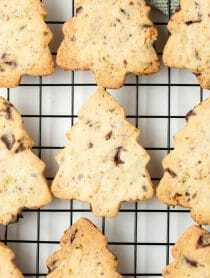 Making edible gifts is a big part of our holiday season. Although receiving any gift is nice, when you put thought, effort and time into what you are giving, the recipient knows just how special they are to you. Although I prefer cooking, my kids love to craft-it-up any chance they get. Today’s food crafts offered hours of family time and enormous smiles around our kitchen island. 1. Gumball Bracelets. 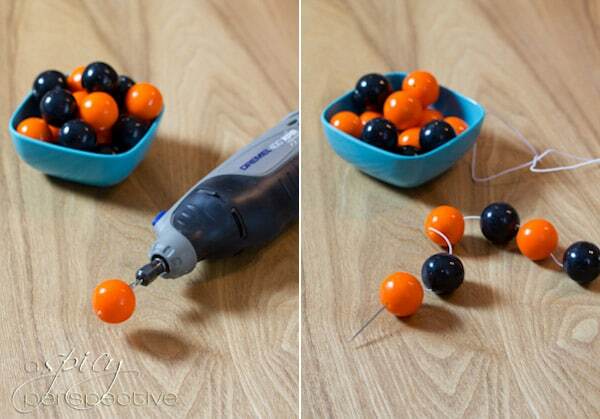 Simply drill small holes through the gumballs with a Dremel Tool (or other small drill) and a clean bit. Then use large needles, plastic craft needles for the little ones, and elastic cord to string the gumballs into bracelets. Make sure to tie a tight knot when the kids are finished. 2. Gumball Hedgehog Craft. This one is for older kids with a bit of patience. Make one batch of thick royal icing. 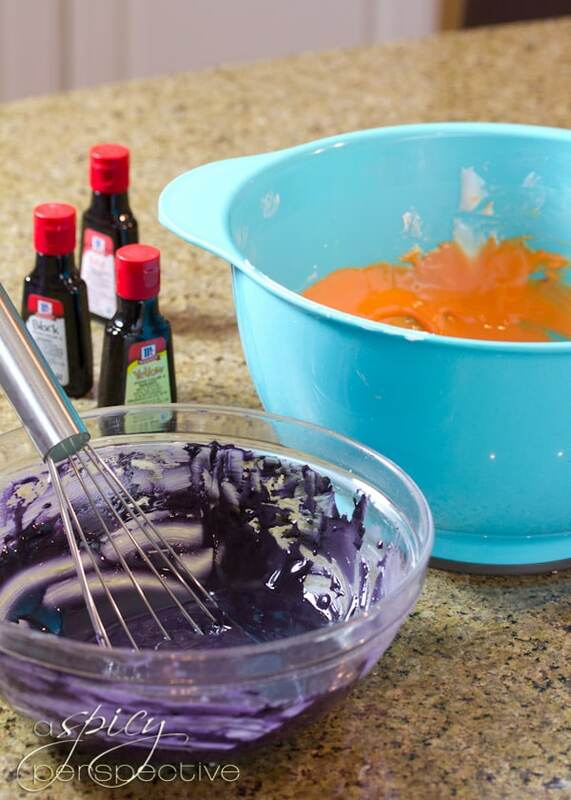 Divide it in half and add food coloring to make orange and black. You can also set a tiny portion of white aside for eyes, if you want. I really like vibrant McCormick Food Colorings for royal icing. I used black, and then red and yellow to make orange. Place the royal icing in piping bags with small #3-5 tips. 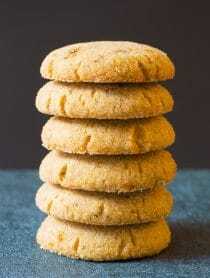 I like to place each piping bag, tip-down, in a glass with a moist paper towel at the bottom, so they don’t dry out. 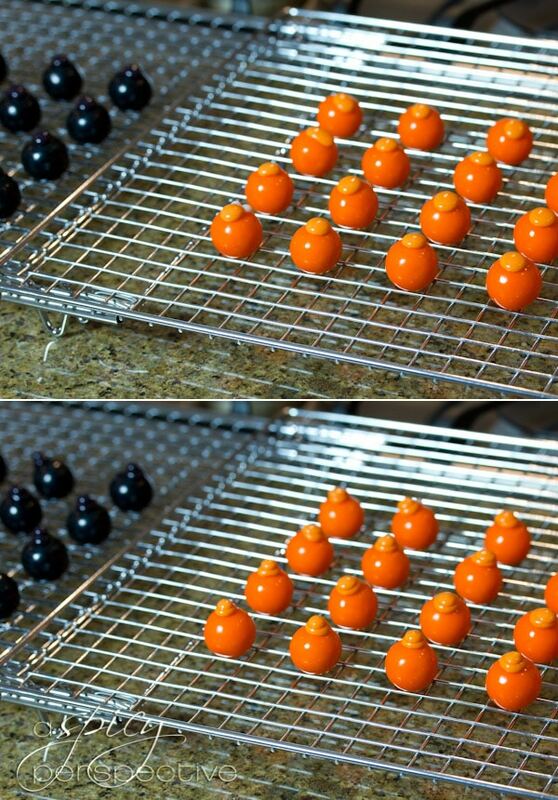 Place the gumballs on a cooling rack so they don’t roll away. Pipe a bead of royal icing on the top of each gumball. Allow it to set, then pipe a smaller bead of royal icing on top of the first, to create a snout. Once the snout is set, pipe tiny eyes and noses. Give the faces plenty of time to harden, Then start gluing the candy corns on each gumball. The royal icing needs to be somewhat firm for this, so they don’t slide off. We squeezed a little into a cup to let it air out a bit and thicken. In fact, it may be something your kids work on off-and-on all day. Don’t you just love long-winded crafts on a rainy day? Let the hedgehogs dry overnight before moving or wrapping. 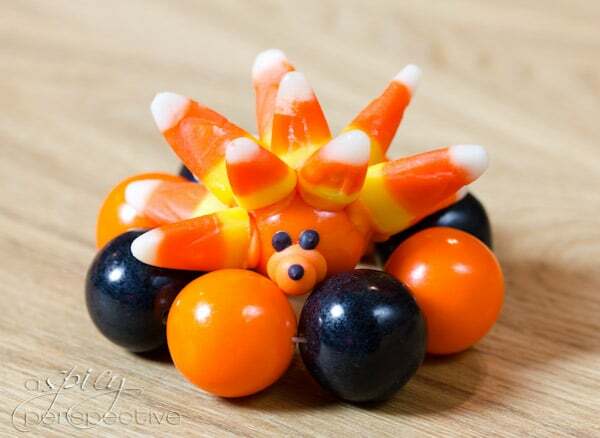 It took between 12-16 candy corns per hedgehog craft. 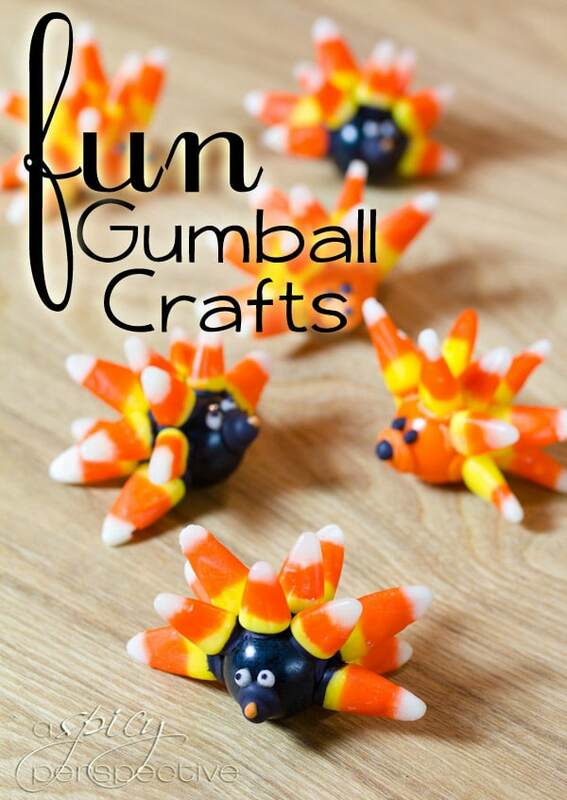 40 gumballs + 640 candy corns + 1 recipe royal icing = One Big Ol’ Time! Adorable! I’m going to make these using cake balls intead of gumballs for our youth party. How unbelievably cute are those! I’d totally sport a gumball bracelet! These are hilarious Sommer – loving all these cute Halloween treats you’re coming up with. Your kids must be having such fun! These are so much fun! I’m sending this to my sister because I know her kids will have so much fun with all these little treats! Thank you for sharing! Fun stuff, Sommer! Our girls would love this project/treat! 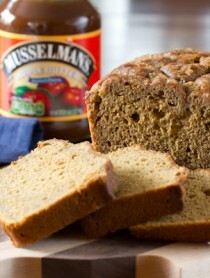 Cute and edible, such a great project for kids! You are so crafty, Sommer, this is great! The hedgehogs are adorable! 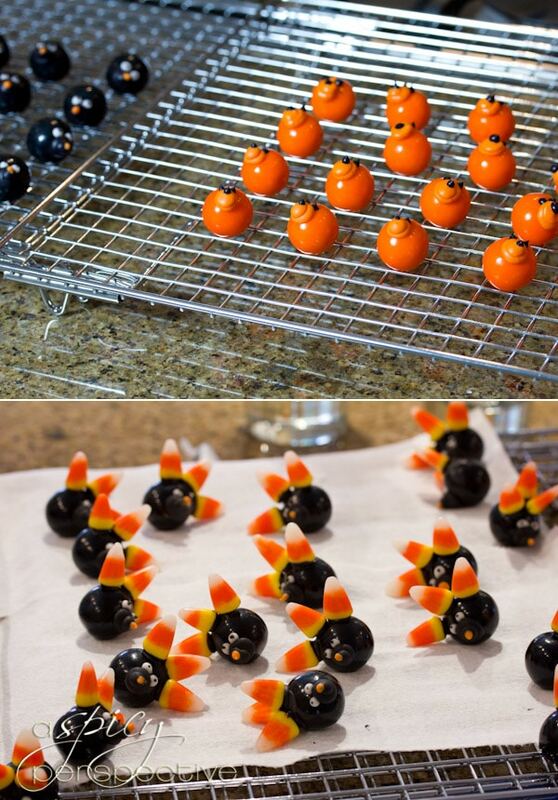 Would make cute turkeys too. I’m dying right now. These are so completely cute I want a whole herd (what IS the name for a marauding band of porcupine? Herd? Pod? Bevy?). I’m speechless. When you have a segment on the Martha Stewart show, just remember the little people. Awwwww these are just too freaking precious! I have to make these with my little niece and nephews! Oh my, this looks so cute!!!! Those hedgehogs may be the cutest thing ever! These are so darn cute. What a great idea, Sommer! I seriously don’t think it gets any cuter! These hedgehogs are SO STINKIN’ CUTE!! I want to make this with my imaginary kids. Okay, just myself so I can eat all the gumballs. So cute! You have Halloween all wrapped up, Sommer! Such fun ideas and great crafts! I want to come to your house trick-or-treating! These are so stinkin cute! Do you have to be a kid to wear the bracelet haha! This is too cute Sommer! I love it!